Complete re-design, development and speed optimisation of Magento website. 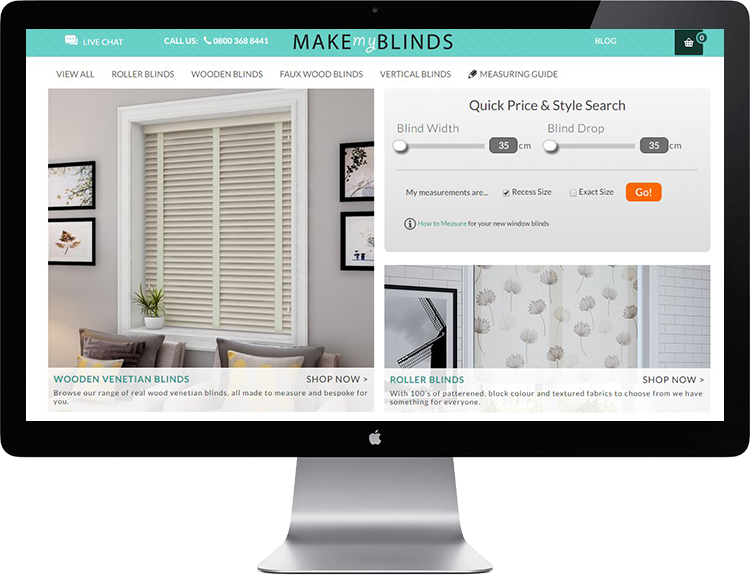 MakeMyBlinds is a company selling variety of quality blinds: venetian, roller, wooden, blackout and much more. We’ve created a custom design for their Magento website. First providing them with different design mock-ups keeping in mind the nature of their business and the target customers. The one step checkout functionality was developed for more automated and quicker checkout. All to ensure visitors comfortable shopping experience. We decided to integrate WordPress with their homepage to ensure easily customisable content management. 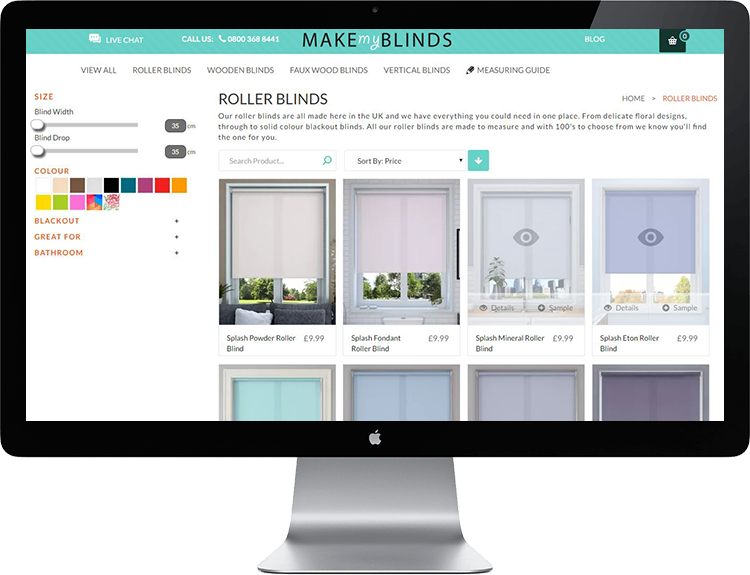 The whole menu, filters and category pages were changed for better product presentation and more friendly usage. The website was optimised for speed now having 75-90/100 in Google speed check to 35-45/100 before optimisation.